You’ve been blogging to beat the band for the past couple of years now, but your content is not drawing the traffic you’d hoped to bring to your site. Even though your web content is timely and well written, not to mention relevant to your niche, it is just not producing measurable results. So, you ask, what is the problem? And, more importantly, what can you do to fix it? Well, it may be time to “SEO-ify” your old content. Simply by optimizing old, stale, under-performing web content you can bring the search engines, and the visitors you’d hoped to attract, back to your site. While all of the 7 Ways to Take Stale Web Content to the Top of the SEO Charts are critical to the performance of your posts, they are listed here in order of importance. Many times, when web content is under-performing, it is because the keywords and keyword phrases we chose when we began blogging to our niche have become irrelevant, or were not the best choice in the first place. With experience comes knowledge and with both we gain wisdom, hopefully. If the keywords and phrases you’re using today differ from those you began with, go back and change the keywords in your older posts. Massage the text to accommodate the new phrases to keep them readable, and don’t let your ego get in the way of doing this. We all make mistakes with keyword choices from time to time. Don’t let stubbornness about your original choices interfere with improving the performance of your web content. Place your keyword in the opening, middle, and close of your posts. You must always include your keyword or keyword phrase within the first and last 100 words of your posts, as well as in the middle of your text. If the search engines do not find the keyword scattered throughout your post, they will read it as irrelevant to the subject and ignore it completely. Or, as a worst-case scenario, they will punish you for using misleading SEO tactics. Place the keyword in your title. If you didn’t do it when you originally posted, go back and make sure the keyword is in the title of your web content. If possible, it should also be the beginning of your title. Placing the keyword in the title will help to point the search engines in your direction, not to mention catching the eye of potential visitors. Place the keyword in the permalink. Even if you can’t place the keyword in the title of your web content, if it does not make sense to do so or is out of context for example, you can still edit the permalink to include it. Place the keyword in all headings, H1, H2, and H3. 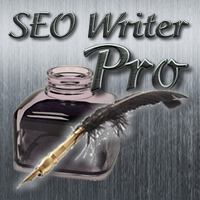 The search engines love it when the headings of your posts include your chosen keyword. It helps them decide whether or not your web content is relevant to the search they are performing for their user. By placing your keyword in the headers of your posts, you will draw the search engines to you more effectively, moving you up in the search results. If possible, it is also helpful to place your keyword at the beginning of H1, to focus the search more narrowly on your web content. Then, place the keyword in each successive heading as well, as long as it does not conflict with the text. A note of caution here; WordPress will automatically use the title of your post as Heading 1, so you do not need to do this. In fact, if you create another H1 for your post the search engines will see it as redundant and they will actually punish you for doing this. If you’re using WordPress as your CMS, do not create another H1 in your posts. Highlight the keyword with bold, underline, and italics at least once each. To focus the search engines more narrowly on your web content, you should also highlight your keywords within your post. By bolding, underlining, and italicizing your keywords, you will draw attention to your web content and its relevance, and search engines love relevant content above all things. Use one internal or external link with the keyword. Linking to web content which is relevant to your keywords is another way to focus the search engines on your posts. Placing links to relevant content on your own site is by far the easiest to do. If it makes sense within the context of your post to do so, you should also link to external web content. This will help the search engines find, index, and place a value on your web content. When web content becomes stale or outdated, for whatever reason, you do not need to abandon it as a lost cause. If it was valuable at the time you originally posted it, it may still be. If it never did perform as well as expected, despite its value, it may still do so. Simply go back and SEO-ify your valuable web content to bring it up to date and attract the search engines anew. Doing so will revitalize your posts which will improve your search results. It will also attract visitors to your site, meaning all that work you did will not have been wasted. This entry was posted in SEO Writer, Web Content and tagged blog content, optimize old content, re-purpose content, web content, Web content writing, well-written content. Bookmark the permalink.